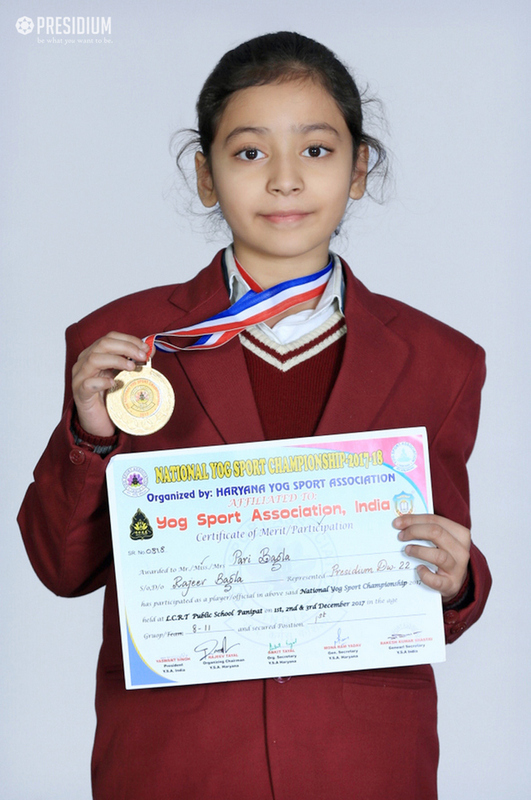 We feel proud to share that our grade 4 students, Pari Bagla from Presidium Dwarka 22 recently won the prestigious gold medal in 2nd National Yoga Championship. 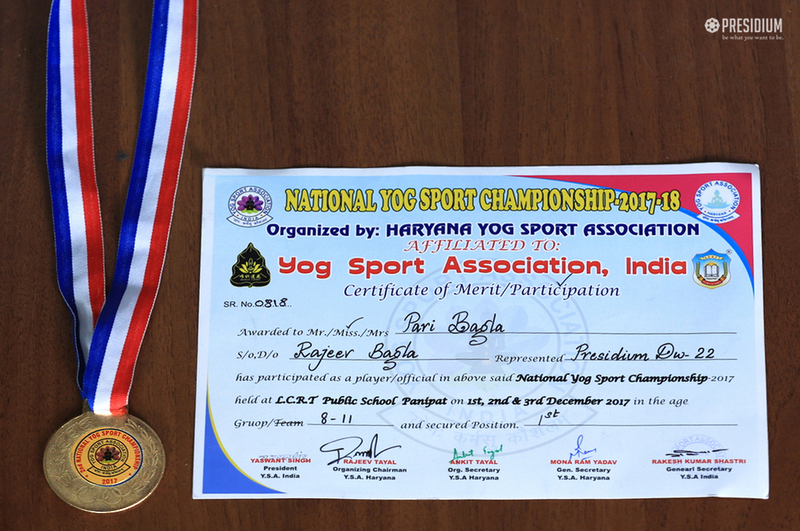 Organised by Yog Sports Association of India, the championship witnessed grand participation of 1000 students from 12 States of India. 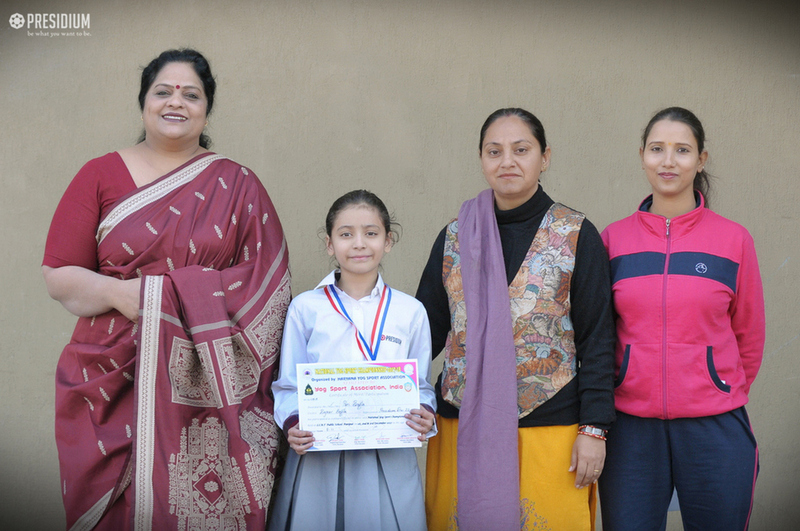 Heartiest congratulations to our Yoga prodigy Pari and her mentor Ms. Geetanjali!